Climb down to the depths of the ocean in this amazing foldout coloring book. 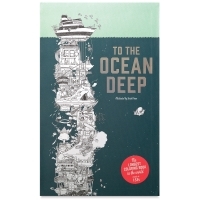 To the Ocean Deep is the longest coloring book in the world! Color an amazing tower — all the way from a boat bobbing in the waves, past sea dragons, mermaids, aquatic robots, and sharks — to reach the deep ocean floor. 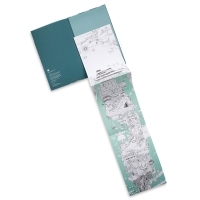 The book folds out to an incredible 15 feet long, providing hours of coloring fun for artists of all ages.